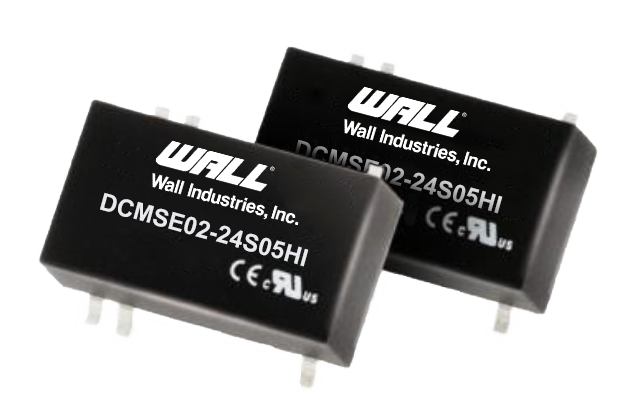 The DCMSE02-HI series of DC/DC converters offers 2 watts of output power in an ultra-compact 0.94” x 0.54” x 0.35” industrial SMD package. This series consists of single and dual output models with ultra-high I/O isolation of 8000VDC with reinforced insulation. 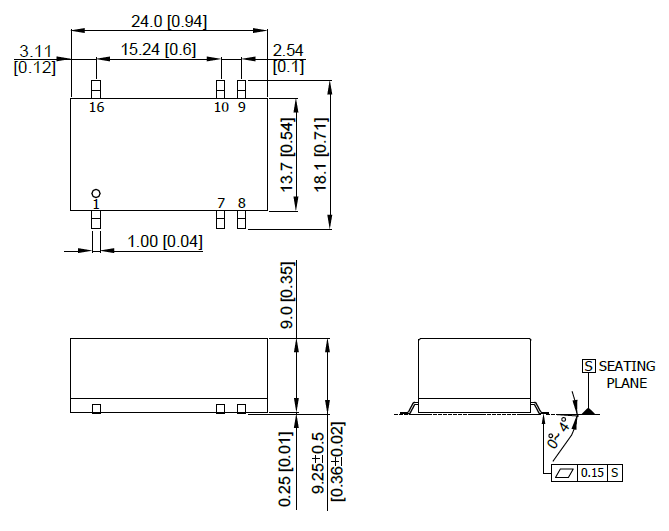 Each model in this series is qualified for IGBT and high isolation applications, is RoHS and REACH compliant, and has short circuit protection. This series has UL/cUL/IEC/EN 60950-1 safety approvals and tape & reel packaging is available. Notes: 1. These power converters require a minimum output loading to maintain specified regulation, operation under no-load conditions will not damage these modules; however they may not meet all listed specifications. 2. We recommend to protect the converter by a slow blow fuse in the input supply line. 4. Natural Convection is about 20LFM, but is not equal to still air (0LFM). 5. It is not recommended to use water-washing process on SMT units.